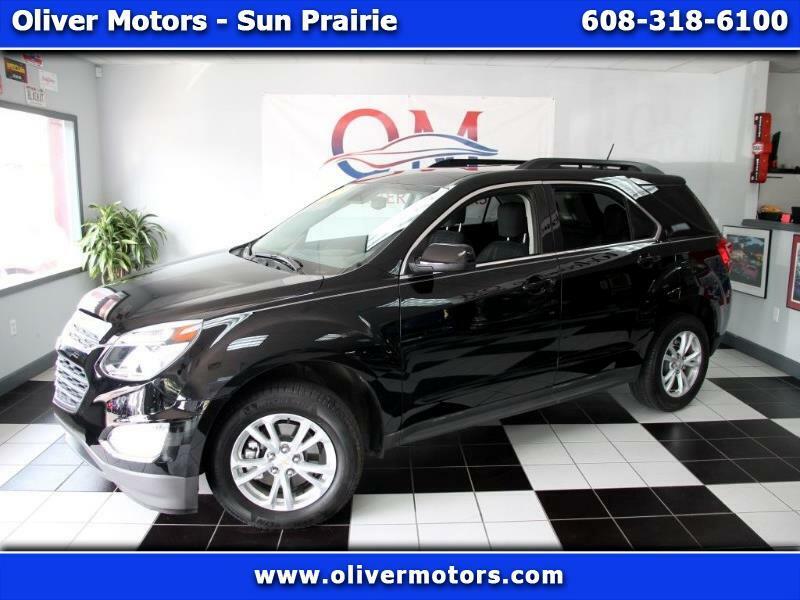 Oliver Motors is EXCITED to offer: 2017 Chevrolet Equinox LT with only 20,903 miles! Only 1 owner since new... low miles... still under factory warranty... clean AutoCheck with no accidents! Why buy new? The first owner took all the depreciation out for you, and yet this SUV is virtually new! Don't hesitate, or this car will be gone! Oliver Motors has multiple locations. This vehicle is located at our Sun Prairie, WI location. **** We have a large Lending Network to help EVERY credit situation! **** AutoCheck Report available on every vehicle! **** Don't forget to ask about other GREAT services we offer! Oliver Motors Sun Prairie WI. is Dane County's Premier Pre-Owned Automotive Dealer serving Sauk, Juneau, Columbia, Dane, Richland, Marquette, Adams, Wood, Portage, and Marathon Counties. Compare our competitive SALE prices to NADA Retail and Kelly Blue Book-KBB! Visit Oliver Motors - Sun Prairie online at www.olivermotors.com to see more pictures of this vehicle or call us at 608-617-2271 today to schedule your test drive.